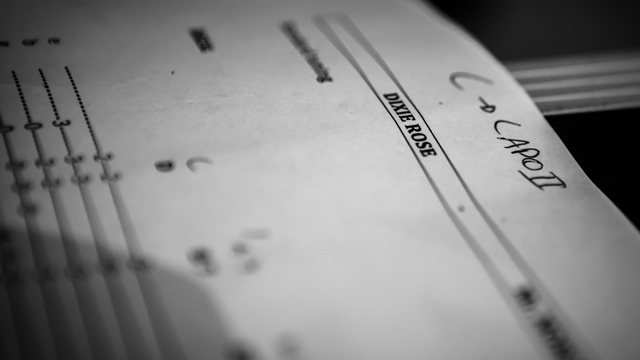 Dixie Rose is a Belgian, 6-member band initiated by the songwriting duo Dag Luyten en Anniek Raedschelders. Songs about life and love, about soul-searching and inspiring encounters, about joys and struggles… things that everyone can relate to. You can expect music that combines influences from country, pop, Americana, blues…. and much more. Heartfelt lyrics guided by beautiful arrangements and vocal harmonies that will transport you into the stories they tell. By participating in this crowdfunding you'll help us (of course we saved some money as well 😊 ) accomplish one of our biggest dreams: recording our very first EP! 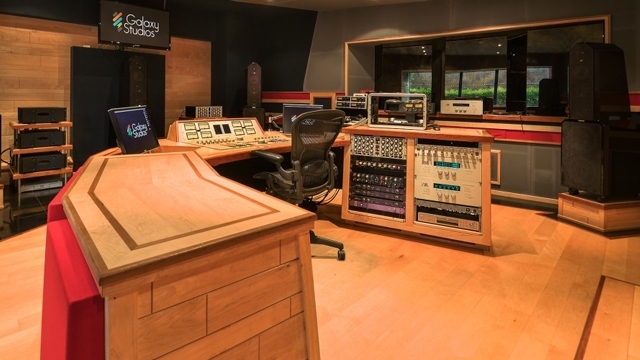 Together with all six members of our band we’ll be heading into the famous Galaxy Studio’s for three days, where we’ll record our very own songs. We strive for high quality, knowing this EP will be our introduction when setting our first steps into the music industries! Dag and Anniek: you might recognize us from the acoustic duo “DAG ANNIEK”, passionately playing music for the past 7 years at numerous occasions. Behind the scenes we have been writing music together and are excited to finally send our sounds out into the world. To do so, we’ve gathered some talented musicians to bring out the best of each song. 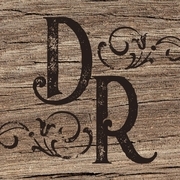 Dixie Rose’s roots are located in Opitter, a village in the borough Bree. A fountain, a bakery and a butcher,….even a brewery is part of this cosy town. One of the songs on our EP was inspired by growing up in a ‘small town’. No need to explain our excitement when OUR brewery Cornelissen informed us they would support our project by donating beer giftboxes! This way we can raise money for our “Opitterse record” by selling beer from Opitter. How great is that! If you would like to purchase a giftbox and are not located in Belgium, please let us know by email. I’m sure we can figure something out for the delivery! * Home delivered in Belgium. Only for buyers that are older than 18 years. Be the first to order our Dixie Rose shirts! Woman shirts are both available in grey or black. Both shirts are available in black or grey. Print in white, black or neon pink print. YOU ARE A TRUE DIXIE ROSE FRIEND! Thank you for your support! We are forever grateful! YOU ARE A TRUE DIXIE ROSE FAN! Thank you so much for your support! On top of our eternal gratitude you'll receive an autographed band photo! Whoohoo! You'll receive our first EP even before its official release! 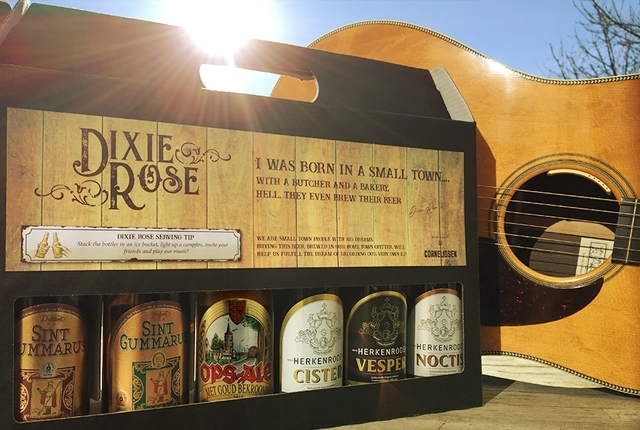 You'll receive a tasty beer giftbox! Récompense limitée, seulement 179 disponibles ! - a Dixie Rose T-shirt! - our limitless gratitude! We can not express how much this support means to us! Book us for a live, full band gig right inside your living room! Invite all your friends and enjoy an eye to eye performance. Travel costs for locations outside a 200km range from Bree are not included.